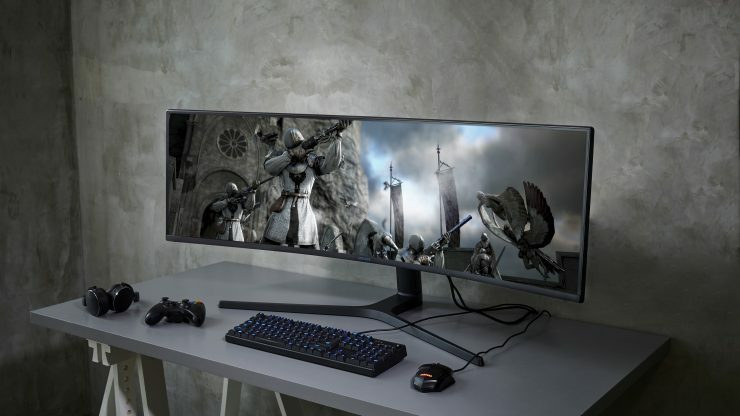 Samsung has announced the super ultra-wide 49-inch CRG9 monitor. With Dual QHD Resolution, the CRG9 is the world’s first high-resolution super ultra-wide gaming monitor with 32:9 aspect ratio. 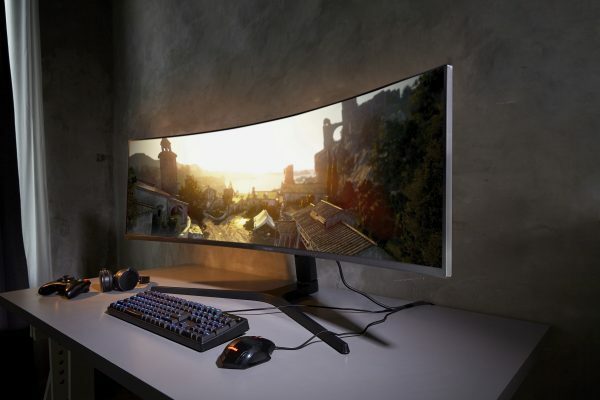 It offers a 120Hz refresh rate with a claimed 4ms response time on a 49-inch display that has been designed for minimizing image lag and motion blur, which is good news for gamers. The monitor also features AMD Radeon FreeSync 2 HDR technology to reduce stutter, screen tearing, and input latency to ensure the best possible frame rate and smoothest gaming experience. 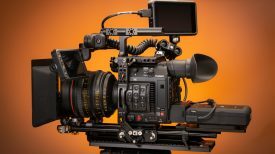 The CRG9 is not just for gamers, with dual WQHD resolution (5120×1440) and HDR10 with a peak brightness of 1,000 nits and local dimming, it might make for a nice display for video editors or content creators who want a lot of real estate. 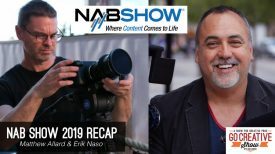 The screen is equivalent to two 27-inch WQHD 16:9 monitors placed side-by-side, the 32:9 super ultra-wide screen also looks good for multitasking as its PBP (Picture-by-Picture) functionality allows two video sources to be viewed on the same screen. The CRG9 includes one HDMI port, two Display Ports, USB 3.0 and headphone connectivity options. Samsung has also announced the worlds first 32-inch curved 4K UHD display. Officially called the UR59C 32”, the monitor has been primarily designed with content creators in mind. 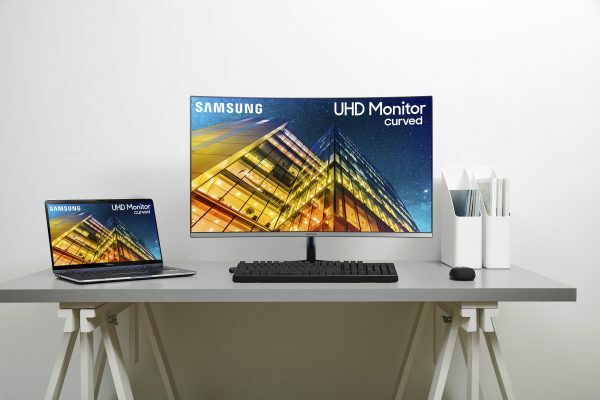 The new UR59C 32-inch monitor features a UHD curved display with a 2,500:1 contrast ratio and a full 3840×2160 4K UHD resolution with support for up to one billion colors. The 1500R curvature is claimed to give users an immersive experience for creating content and watching videos while reducing the eye strain typically associated with long periods of traditional monitor use. The display is available in dark blue-grey, and features a super-slim design, with a depth of only 6.7mm. It has a 3-sided bezel-less screen which is attached to a V-slim metal stand with a two-prong base that encases cables and reduces its footprint on a desk. I’ve personally never used a curved monitor for video editing or viewing before, so I’m not sure whether I would like it or not. 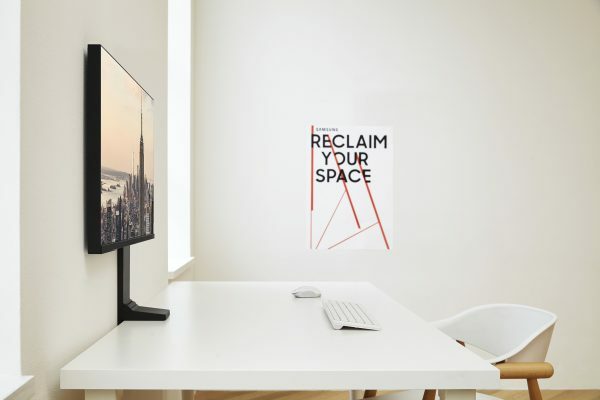 As well as the UR59C, Samsung has also unveiled the Space Monitor, which has been designed to allow users to focus on what’s on the screen and not what’s around it. One of its main drawcards is as a space saving solution. 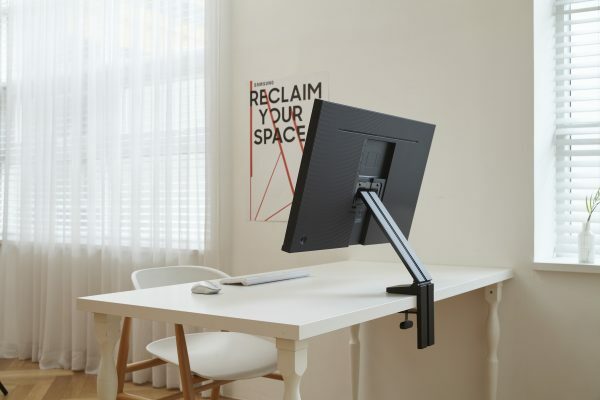 It features a fully-integrated arm that can clamp to a desk to free up space. 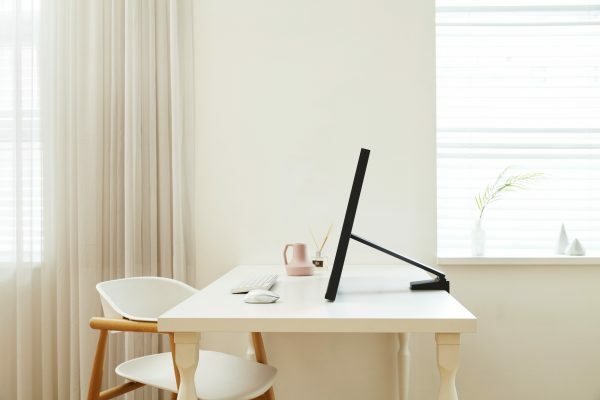 When using the arm, the Space Monitor can be easily tilted or extended from the wall, as well as lowered to the desk surface. The stand not only makes viewing more comfortable but also eliminates the hassle of cable management by integrating power and HDMI cords through the arm.Once you have finished using the Space Monitor you can simply push it back and store it flat against a wall. Beyond aesthetics, the Space Monitor 27-inch model offers WQHD resolution, while the 32-inch model can display content in 4K UHD. I like the concept of the Space Monitor and it looks like it would make a good pairing with a Mac Mini if you have limited space available. Unfortunately, Samsung is yet to release any information about pricing or availability for any of these new monitors. I wouldn’t expect any of them to be cheap, but monitors have come down in price considerably over the last few years so let’s keep our fingers crossed. 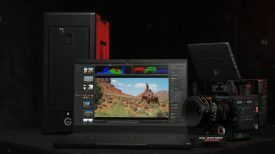 Do any of these new monitors interest you? Does anyone have experience using either ultra-wide or curved displays? Let us know in the comments section below.